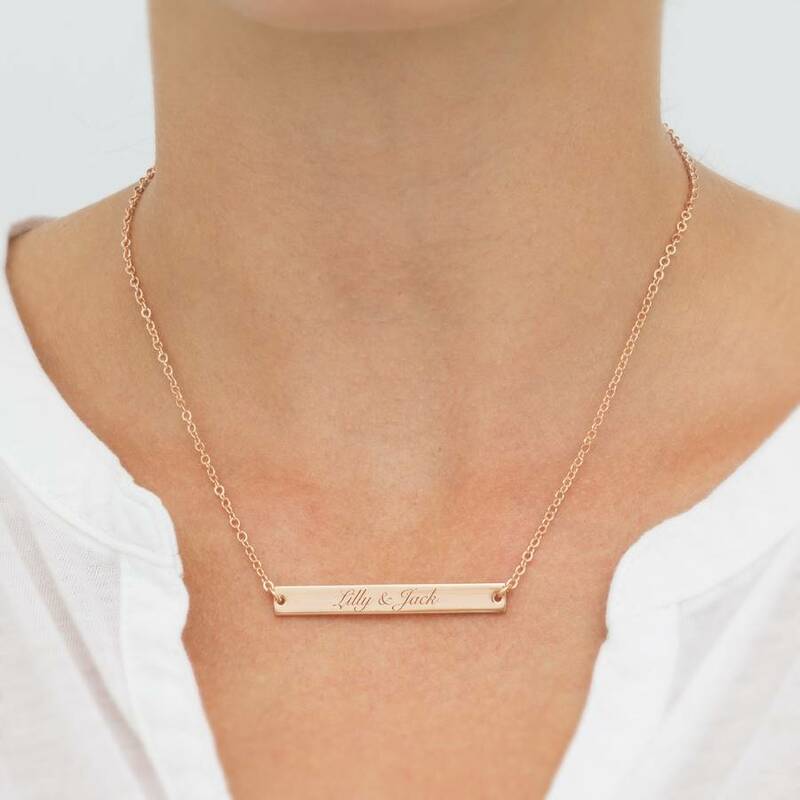 The Carlotta Personalised Message Necklace, is a beautiful silver or rose gold plated bar necklace that can be engraved. 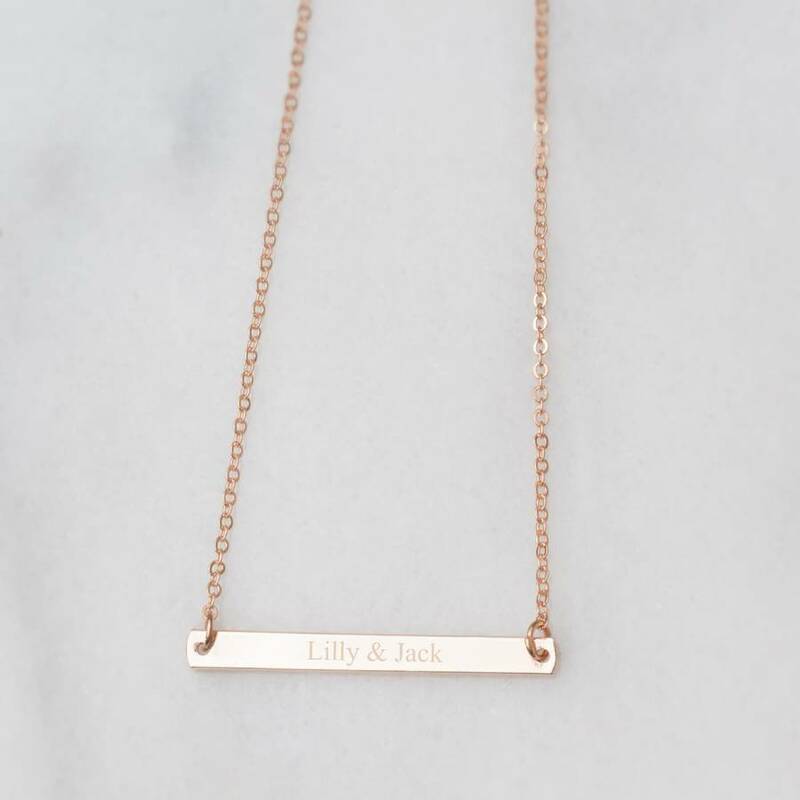 The Carlotta Personalised Message Necklace has a delicate trace chain, available in childrens size and standard size. The contemporary bar design can be engraved with up to 16 characters. A unique and special personal gift for a loved one or a well deserved gift for yourself. 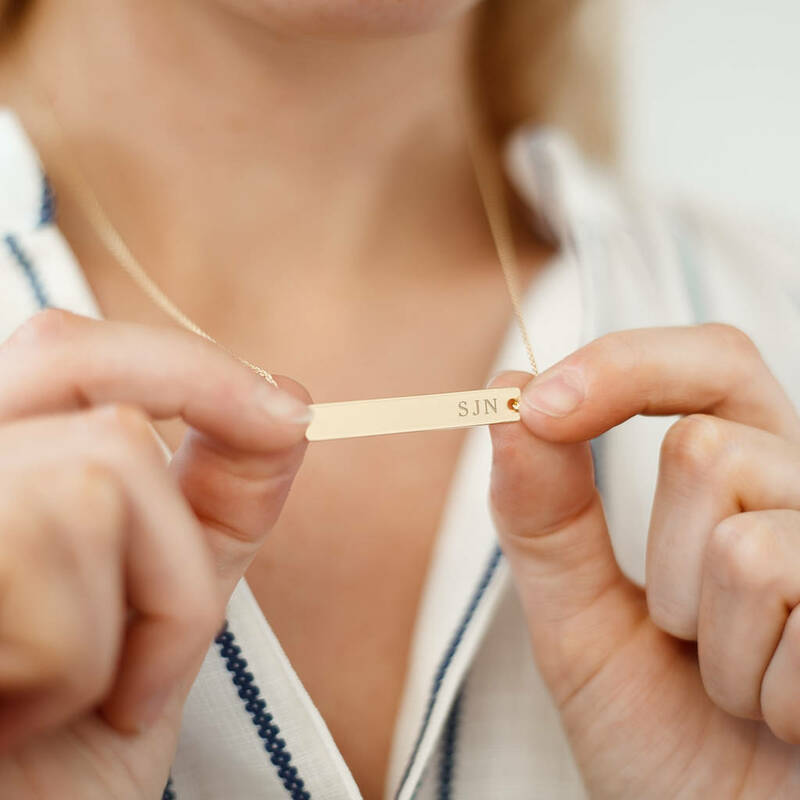 The engraved necklace is prepared by our experts in the studio. You could add a name, date or special message of your choice. 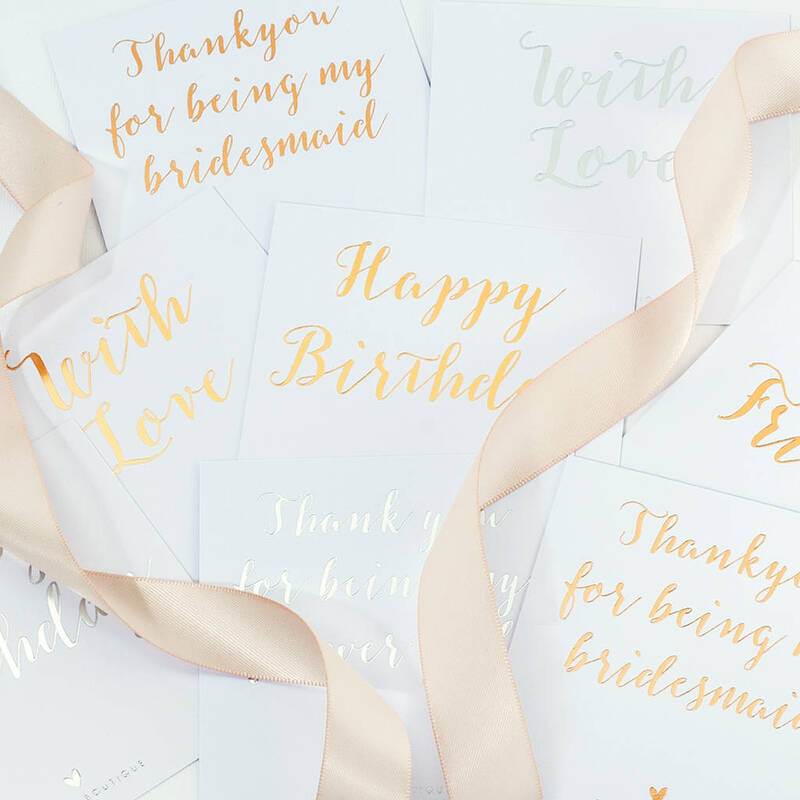 Why not add luxury packaging for a special gift? 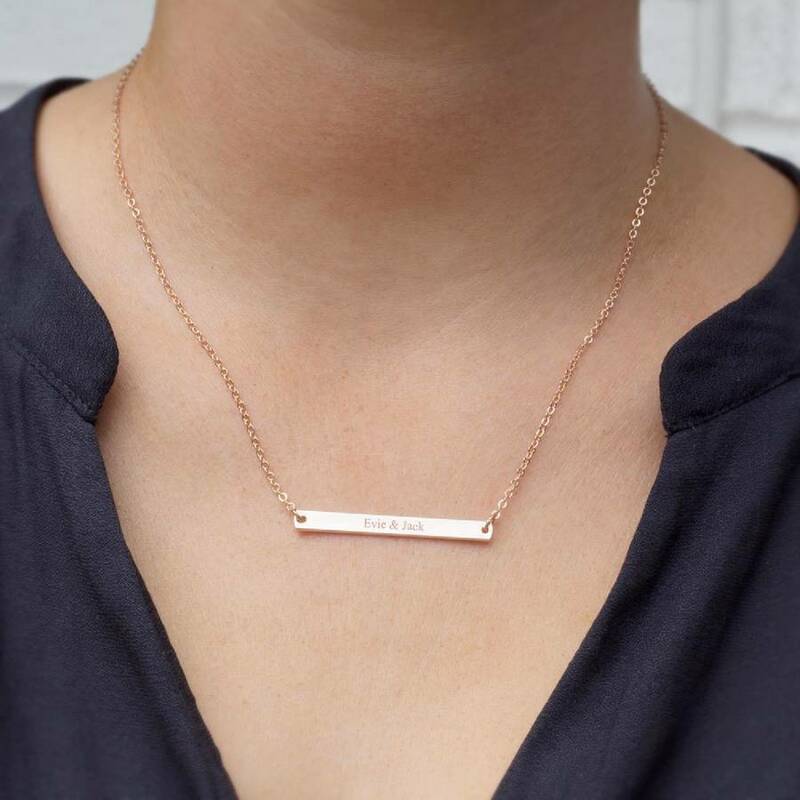 This beautiful necklace is available in silver or rose gold, engraving on the bar is included. 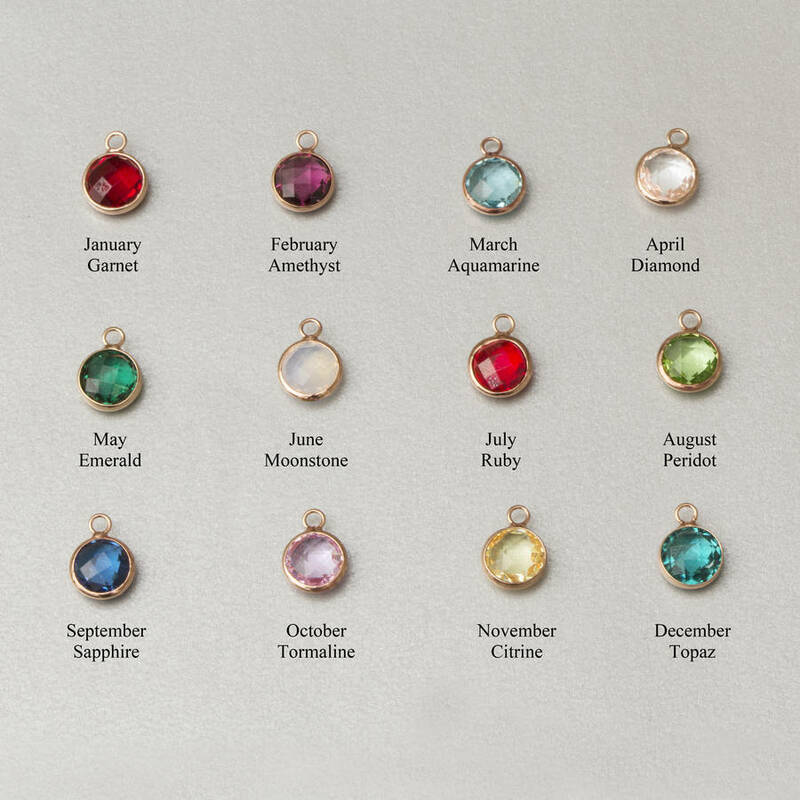 Silver plated or rose gold plated Swarovski birthstones can be added to create a stunning necklace. Silver or gold plated bar and chain. This product is dispatched to you by Bloom Boutique.